In The Catholic Family in the Modern World the saintly priest, Father John Hardon, specifically warns married Catholics that the de-Christianization of society harms families and thus – by implication – threatens your own marriage! And I know there is nothing more important to you than God and your God-centerd marriage. If you have a strong Catholic marriage are you ready for the trials and spiritual warfare that are sure to come? And if your marriage is experiencing rocky times, what positive action can you take to rebuild it and save it from disaster? We men cannot afford to be passive, like Adam, who stood silently next to Eve as the infernal serpent attacked his wife (see Genesis 3: 6). 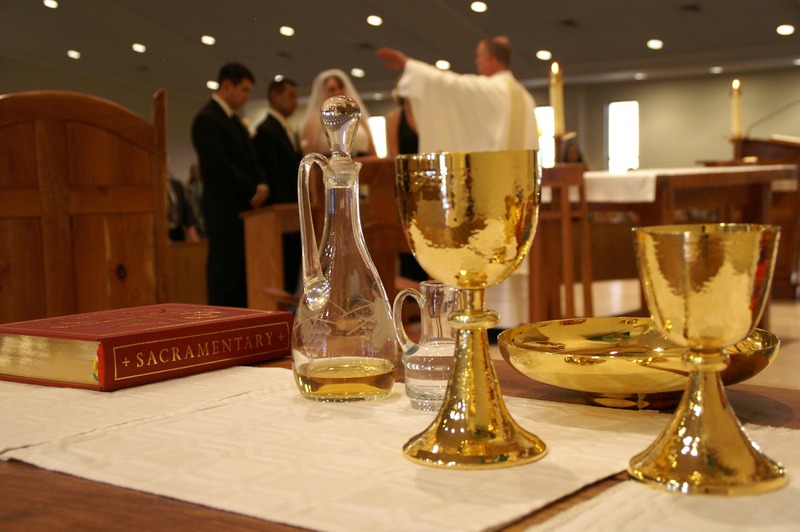 Thus, the great Father Hardon, relying heavily on Saint Pope John Paul II, tells us that three things are absolutlely necessary to protect, fortify and strengthen our marriages, and these three essential practices are: PRAYER, the EUCHARIST and THE SACRAMENT OF RECONCILIATION. We consider these three indispensable practices below, relying on Father Hardon.